Tatiana Calderon and Jamie Chadwick will get another chance in FIA Formula E Championship in the rookie test after Marrakesh ePrix. Both Calderon and Chadwick made their electric series debut in Saudi Arabia when they ran in the post-race test as part of a special event. The two impressed their respective teams who have rewarded them with another test run. 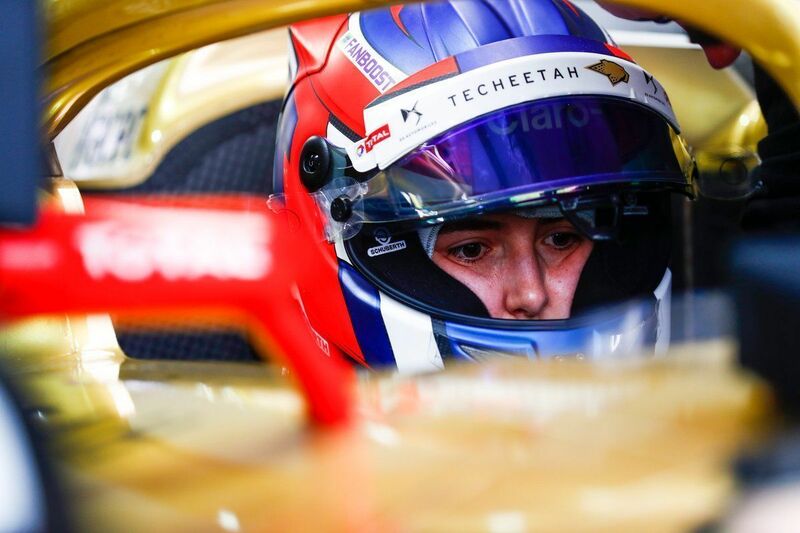 Calderon will drive the DS Techeetah’s Gen2 car alongside James Rossiter while Chadwick will drive the NIO car with her partner yet to be named in the second of the 2018/19 in-season test in Marrakesh. “Getting another shot at being involved with DS TECHEETAH is great,” said Calderon. “I loved my time in the car and with the team in Ad Diriyah and even though I didn’t get to drive as much as expected due to the red flags we managed to secure some good runs. “Needless to say, I’m keen to get more laps under my belt at this test and it will be really good to continue working with the team at the Marrakesh test. The DS E-TENSE FE19 is really fun to driver and it’s unlike anything I’ve ever driven before. “It’s a lot to take into consideration as it’s not as straight forward as other Formula cars, they all have their different challenges but that’s what makes it fun.” The Colombian continues to expand her CV alongside her Sauber F1 role. Like Calderon, it will be the second run for Rossiter as well, who has been involved in the devlopment work of the car. “It’s great to be back on track in the DS E-TENSE FE19 and it will be good to see the team again after the holidays,” he said. “We’re in the sim this week to familiarise ourselves with the Gen2 car on the Marrakesh track before heading down to Morocco. The last 12 months with the team has been really good and it’s been a nice addition to the family with DS onboard. Team principal Mark Preston added: “We’re very excited to have extended our work with Tatiana Calderón, who will drive in the rookie test together with our Development Driver, James Rossiter, on Sunday after the race. “Tatiana really impressed us in the Ad Diriyah test despite the limited running due to some red flags, so we wanted to give her another chance in the DS E-TENSE FE19 to see what more she can extract out of it and to gain further knowledge from her feedback. For Chadwick, it is also getting more mileage not only for her experience but also in a car and in a series which is growing steadily as well with many of the top racers and manufacturers involved in it. “I’m thrilled to be jumping back into the NIO Season 5 Formula E car at the official rookie test event in Marrakesh,” she said. “I loved every minute of the first test in Riyadh and now I am acclimatised to the car, I am confident we can have a successful test. “Once again, a huge thank you to Gerry (Hughes) and the team for giving me the opportunity. I cannot wait.” The chance for Chadwick also comes because of her programme being cut short in Saudi Arabia due to car issues. Team principal Hughes added: “After a somewhat reduced test event programme in Saudi Arabia due to a technical issue beyond our control, I am obviously very pleased to extend the opportunity for Jamie to test with us once again. “This is obviously a case of ‘same car, different testing environment’ but one that I know that she will relish and it will be very interesting to witness her progress during the day.” With the fresh announcements, 10 drivers have been confirmed till now.